Clients in many parts of the world now enjoy the benefits of using Groundsman Industries equipment. The company’s roots go back to 1972 when after an apprenticeship in Ireland and 2 years working in tool and die design in South Africa, Billy Warke returned to Ireland and with his father set up what became the family business, Coleraine Lawnmower Services. A further 10 years of oil-field manufacturing experience in Canada and some 15 years after the family business was born, Billy Warke returned again to Ireland ready to face some new challenges. CLS equipment hire company was set up and by customer demand, research and development work began on pedestrian aerators, it was in 1989 that the first Groundsman machine was sold. 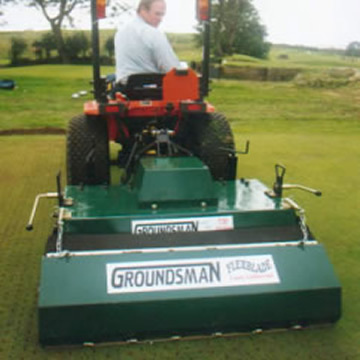 Due to the success of this early design, Groundsman Industries was formed and commenced trading in 1990. New products were developed and it was not long before larger premises were found and production output continually increased. The turf cutter range and Flexblade collector were developed and produced. The expanded product range meant that a further expansion in working area was required. In 2003 Groundsman Industries relocated to it's current factory which has 16,000 sq ft of working space with plenty of room for future expansion. A dedicated team of well trained work force have witnessed and all played their part in the growth of the company. Many new exciting ideas and concepts are now being developed aided by state of the art three dimensional computerized design, and by nurturing the skill of individuals with new technologies, that growth is likely to continue. From their current location the company take their own ideas from concept through cutting edge design technologies to product development and ultimately to the production line. Size and specialization enable Groundsman to react rapidly to customer requirements and changes in market trends. 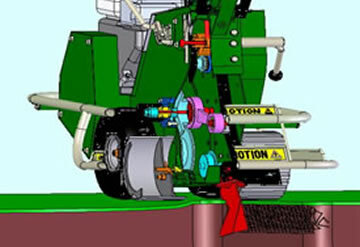 Patents for the Turf Aerators, Turf Cutters and Core Collectors have been granted in the United Kingdom, Europe, North America and further afield. 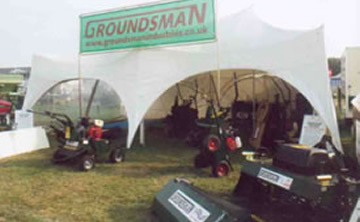 Groundsman regularly showcase their range of products at various exhibitions throughout the year. Please feel free to browse through our website, a good place to start is our product catalogue. We have endeavored to provide you with as much information as possible, however should you require any further information please do not hesitate to contact us using whatever method you prefer.